Anyone who has used a diamond blade to cut concrete, tile or otherwise, knows how important the lubrication of the blade is in achieving your desired results. Wet cutting when you are supposed to dry cut or vice versa can destroy your project entirely. 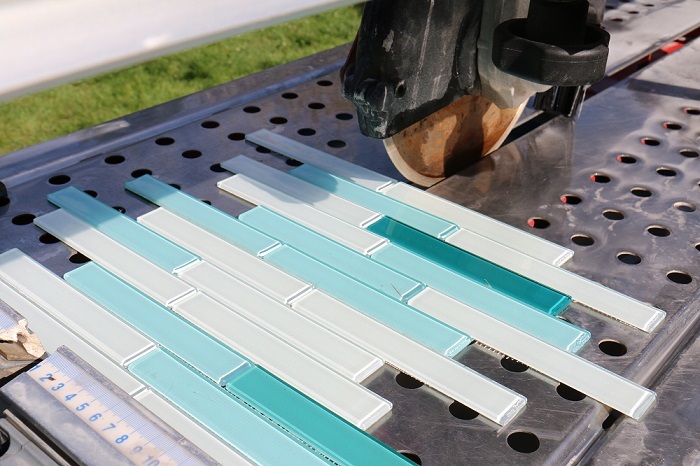 We have compiled a few tips, tricks and benefits of wet vs. dry cutting to help you on successfully master all your projects using a diamond blade. While there are various distinctions between these two forms of cutting, the primary difference is the weld. Dry cutting blades have specialized segment welds that are able to fight off heat and do not need any water to cool. Therefore, dry cutting blades are designed and intended for smaller, clean cut jobs using low-RPM, particularly with handheld saws. One great example of the kind of job that is best accomplished with a dry cutting blade includes any decorative patterning and cutting. Dry cutting is most ideal for intermittent cutting, which requires a specific technique to master. It is recommended to use dry cutting for very shallow cuts. Take very shallow cuts (2” and less) when dry cutting and cut for only 25-35 seconds before pulling out of the cut for a break of 5-10 seconds. During this break time, the diamond blade retracts back to its original shape. Finally, only perform straight cuts with a dry cutting blade, ensure your saw filter is clean and pristine, and never add water! The benefits of dry cutting jobs include its cleanliness and the ease with which you can work - there is no need to plug it in or find a water source like water tanks and hoses. These blades are a dream for indoor jobs where your workspace is limited or right in the middle of your beloved home. 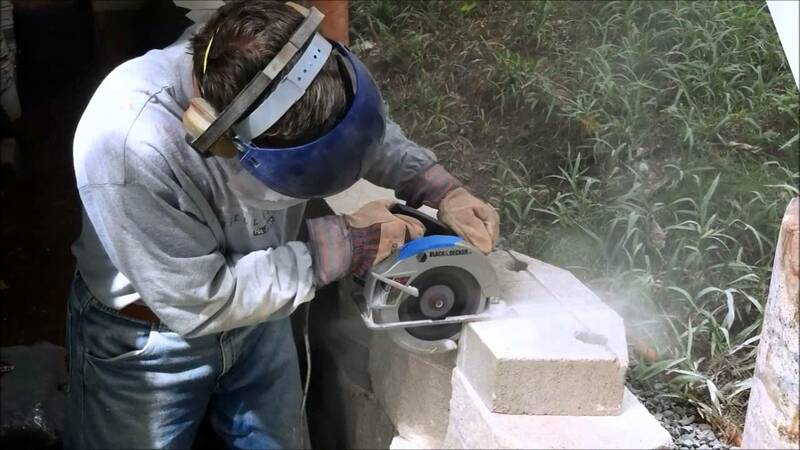 Wet cutting is the most common way to cut concrete as it reduces the amount of dust, cools the diamond blade itself and makes for the most efficient and safe cut. A wet cutting blade is far messier than a dry cutting blade but will absolutely limit the dust. Ideally, wet cutting blades are used for concrete saws, tile or masonry saws. Be mindful when using a wet saw. Wet saws may chip the tops of porcelain tile and it is best to use one with an adjustable blade and move ever so slowly as you work. Moreover, if you use a wet blade without any water, you put the blade at huge risk of overheating and ultimately risk both your own and the saws’ safety. For this reason, it is best to regularly cool the blade with water so that there is a continuous water flow to the blade. The benefits of wet cutting saws are that they are not hand-held like dry cutting diamond blades. This usually leads to smoother and more precise cuts and less work on the part of the blade user. Are you in the market for a diamond blade for your wet or dry cutting jobs? Contact our team at Canadian Diamond Products today at 613-880-7120 and we will be happy to answer any of your questions. There are various different types of diamond blades designed with a purpose in mind. Once you have determined what kind of job you are going to cut, take a moment to consider these varying types of blades and which will work best for you. •Uses a rotating toothed blade to cut off the material. Uses high tension to cut ceramic tile, porcelain, marble and slate. •Best for tough, hard materials such as tubes, rods, quartz, carbon, plastics and fibreglass. •The diamond band saw blade uses a very flexible and toothed blade to cut everything from glass to ceramics to pyrex to fibreglass. •Segmented blades are the most aggressive cutters when it comes to diamond blades. They are quick and touch, tackling everything from brick and concrete but have a rough finish. They can be appropriate for wet or dry cutting. •Made of durable diamond segments, turbo blades are stronger than continuous rim blades. They are great for masonry materials like brick, block, stone and stucco as well as concrete as they create fast and smooth cuts. They are typically appropriate for both wet and dry cutting. •Ideal for specific, chip-free, clean and fast cutting of materials such as ceramic tile, porcelain, granite and slate. Designed for wet cutting only. Are you ready to choose the diamond blade that is right for your job? We recommend that first and foremost, you determine exactly what type of material you plan to cut, then research whether the project requires wet or dry cutting and if a shallow or deep cut is necessary. Once you have determined these factors, choose your blade type and pre-cut a test area to ensure suitability. Finally, practice safe sawing by reading the manufacturer guidelines and feel free to contact us at 613-880-7120 to learn more today. Diamond blades are an exceptional type of saw blade thanks to the efficiency and ease with thick the blade cuts through materials and the longevity and safety of the blade itself. Diamond blades can cut everything from stone, concrete, asphalt, bricks, masonry, marble, granite, coal balls, glass and ceramics, semiconductors, gemstone and of course, diamonds. A diamond saw blade is made up of four key parts - diamond crystals, a bonding system, a segment and a metal core. While the blades are frequently referred to as “cutters”, what they really do is grind material using friction with the bonding system. Those sparkling diamond crystals - the hardest substance in the world - that are living at the blades edge and sides of the rim, get rid of material through scratching out particles and breaking it down into smaller and smaller pieces. Choosing the appropriate type of diamond blade for your project is essential in ensuring success. Make your decision based on the job requirements, dry or wet cuts, the user preference and the machine hosting the diamond blade. If you are planning to break through soft, abrasive materials, you need a diamond blade with a hard metal composition. On the other hand, if you are cutting hard, non-abrasive material, choose a diamond blade with a soft bond. The most commonly used type of saw blade is the circular diamond saw blade while the diamond gang saw is used to cut raw stone blocks. There are hundreds of varieties of diamond blades used for hundreds of purposes - slicing, dicing, singulation, grooving, slotting, rough cutting and beyond. When using your diamond saw blade, regardless of the type, it is important to do so safely. Always were proper safety equipment; wear safety glasses, safety footwear, snug-fitting clothing, hearing and head protection, and respiratory equipment where required. Canadian Diamond Products is proud to carry a variety of diamond blades from some of the world’s best manufacturers. Feel free to contact us with any questions about your project and our blades today.